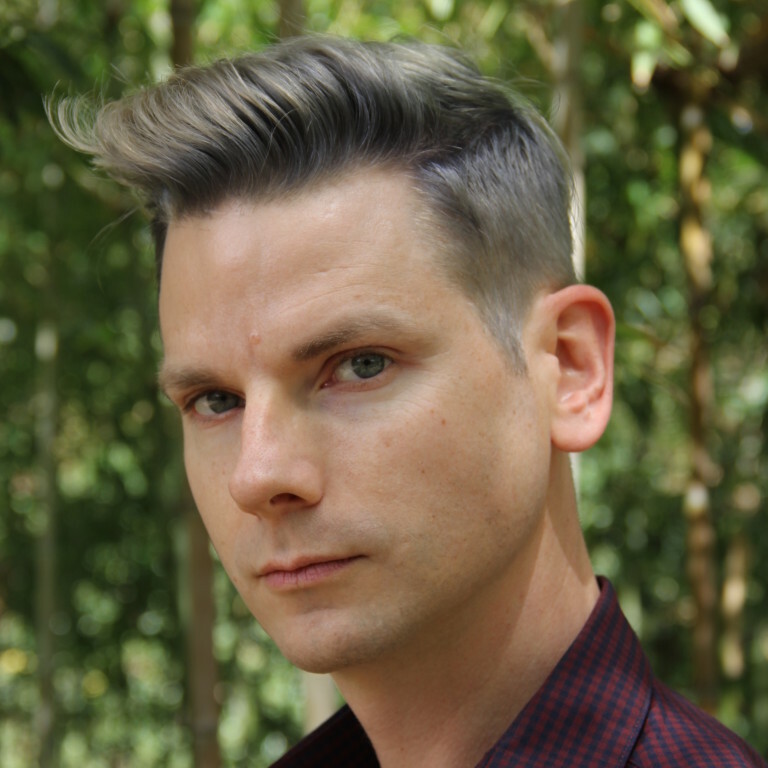 We're thrilled to have Caleb Roehrig with us to chat about his latest novel, DEATH PREFERS BLONDES. Caleb, how long did you work on DEATH PREFERS BLONDES? The answer to this is complicated. I got the first spark of inspiration for this story when I was about nineteen, envisioning a rebel heiress character who drove a convertible and fought with her dad a lot; I didn’t know anything about her story, but I knew who she was. Later, I was watching a movie that opened with a woman robbing a jewelry store, dressed in a platinum wig and huge sunglasses and this black Stetson, and omg, the drama of it all! Just like that, I saw this band of jewel thief drag queens, all dressed in corresponding outfits with these brightly colored wigs—and somehow, in my head, I connected that image with the rebel heiress. For several years, that’s really as far I went with it, but eventually I decided to tell myself the whole story. I sketched it as an outline, and then wrote a version of it that was admittedly pretty terrible, and then trunked it completely. But it was always there, begging for a new life; and when I published my debut, I mentioned it to my editor, and she FLIPPED over the concept of jewel thief drag queens. So I dusted it off, completely revised the outline, and started over. I wrote the first half of the book in the summer of 2017, and the second half at the top of 2018—about six months of writing/revising all together—and now here we are. 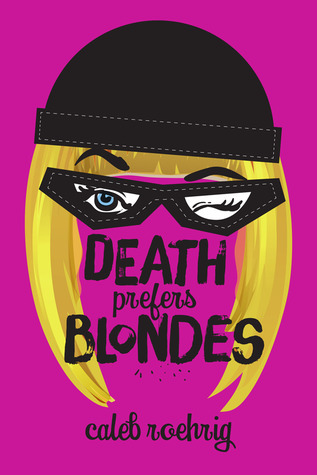 What do you hope readers will take away from DEATH PREFERS BLONDES? I explore a lot of themes in Death Prefers Blondes, but the the two I most hope readers take away with them are the importance of found family, and of learning to trust yourself. Found families have always been a huge and significant part of the queer community, and especially in the world of drag, so I really wanted this book to stand as a tribute to the support network of intimate friends. I also really wanted to depict characters who experience guilt and self-doubt and insecurity, but who persevere, and who manage to fix what’s wrong in their lives. Coincidentally, there were many, many times in the writing of this book where I was sure I was making a huge mistake; but I eventually decided to trust my judgment, and I absolutely could not be happier with the results. I definitely wish that the Caleb at the beginning of his writing journey had been capable of more objectivity when it came to his work. Completing my first full-length novel took me probably two years, writing on weekends and between classes in college, and when it was done I was so overwhelmed with what I’d accomplished (and, frankly, so impressed by the finished product) that I wasn’t able to see where I’d made mistakes. And I mean, for one thing, the manuscript was about 160,000 words long; it needed some considerable editing. I’m happy to report that I’ve gotten much better about killing my darlings, these days. I cut about 25,000 words out of the zero draft of Death Prefers Blondes before I submitted it to my editor, and it’s far sharper and more satisfying as a result. Have you had a chance to read DEATH PREFERS BLONDES yet? Are you able to see your mistakes when revising? Are you able to kill your darlings? Share your thoughts about the interview in the comments!